Tax Increment Financing, or TIF, is a municipal financial incentive tool created by the Illinois State Legislature in 1978 to assist communities in implementing sound economic development and combat or prevent blight. TIF helps local governments restore areas going through economic change or jumpstart economically sluggish parts of town. With this tool, financially strapped local governments can make the improvements they need, like new roads or new sewers, to attract businesses or help existing businesses expand, without tapping into general funds or raising taxes. Once the TIF District is established, the property tax dollars that are collected annually and distributed to the various taxing bodies is maintained at the current levels. 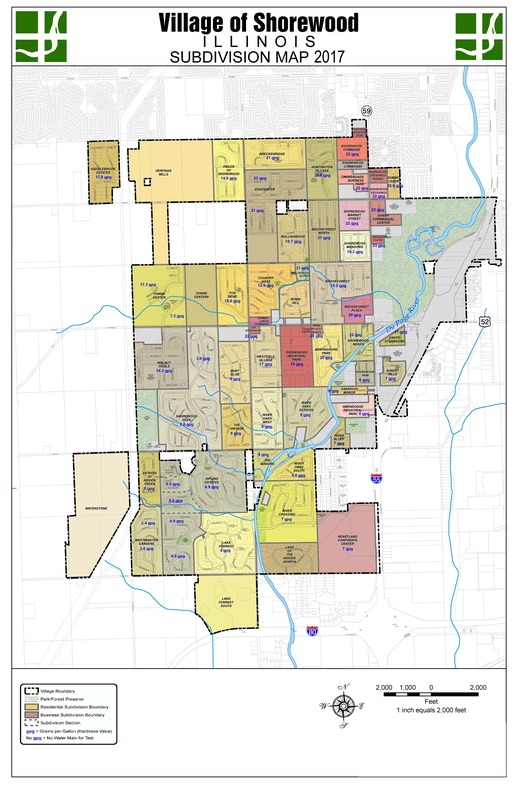 If property in the TIF District increases in assessed value, such as if new development were to occur on vacant property, the additional property tax revenue that is generated by this new development (known as the Increment) will go into the TIF funds to be used for TIF qualified costs such as public improvements. Creation of a TIF District does not in and of itself mean that development or redevelopment will occur. Market factors will be the prinicpal factor driving any development. The TIF District area consists of approximately 265 acres which includes 349 tax parcles and approximately 173 structures. The TIF District includes the East and South entrances to town on Jefferson Street and Route 59 as well as the area historically known as "The Beach" and DuPage Riverfront. The TIF District boundries are centralized around an area that is one of the prime gateway intersections in the Village, Route 52 and Route 59. The Village is seeking to have the District serve as a focal point of community activity. Shorewood's desire is to have the District redeveloped predominantly as a commercial and retail area with mixed use residentail and a Riverwalk area. The Village is pursuing the creation of the TIF District to promote the revitalization of under-utilized properties located within the Village and the overall improvement of the redevelopment project area. the Village Board approved the TIF District and the necessary ordinances on February 14, 2017.